Practical A4 format for all important enquiries and an ultra cool design for the fun. 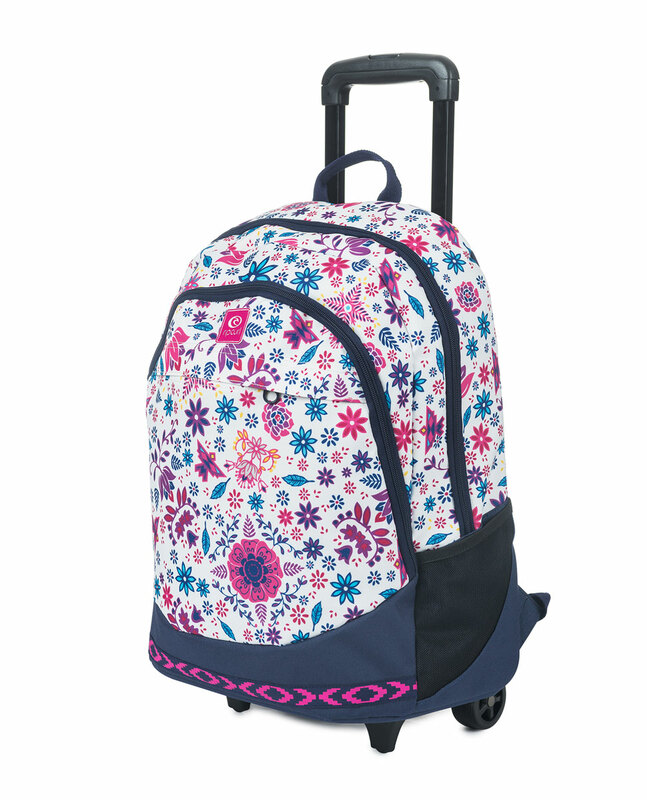 A cool 31 liters wheely backpack featuring double compartments, and mech side pockets, foamed adjustable shoulder straps, reflective parts on straps, foamed back and hidden trolley system. All with a fresh design and essential features. H46 x L34 x D25cm.